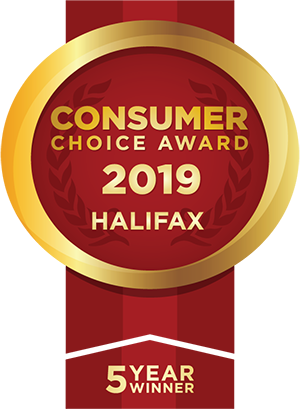 Bedford Dental Centre is proud to receive the Consumer Choice Award for Dentists in Halifax for 2019. Our clinic has been providing quality care in our community for over 30 years. As such, our team of Dr. Colette Vallee, Dr. Asile El-Darahali, Dr. Stephanie Schellenberg, and Dr. Leigh Smith has developed many long-term relationships with our patients and staff. We truly care for and respect our patients as well as each other. We tend to think of our team and patients as the BDC family. Our commitment is to diagnose, educate, inform and perform care to the highest standard possible, in a safe and modern environment. We believe in open dialogue and informed consent at all times, meaning that the patient is always aware of and in agreement with the treatment being performed. Our goal is to keep your smile healthy and beautiful for a lifetime. Our clinic has been providing quality care in our community for over 30 years. As such, we have developed many long-term relationships with our patients and staff. We truly care for and respect our patients as well as each other. We tend to think of our team and patients as the BDC family. We hope our website provides you with interesting information about our clinic, our team and the services we provide. Please call us if you have any questions, or to book an appointment! The entire staff are like a family; always friendly and accommodating to my needs. I recommend my family and friends to visit and meet the staff at Bedford Dental Centre.